Israeli soldiers invaded, on Wednesday at dawn, Silwan town, south of the Al-Aqsa Mosque, in occupied Jerusalem, and conducted violent searches of homes, before abducting at least thirteen Palestinians, including children, and demolished two buildings. 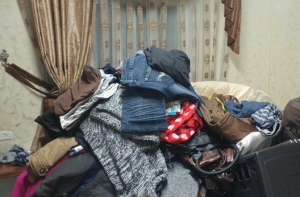 Media sources in Silwan said the soldiers stormed and ransacked dozens of homes in the town, and abducted thirteen Palestinians, in addition to summing many others for interrogation. The invasion was carried out by dozens of soldiers and police officers, who also installed roadblocks in many neighborhoods, in addition to closing several roads with concrete blocks. Odai Samer Abu Tayeh, 20. The soldiers also forced the Palestinians to remove graffiti, calling for resistance and liberation, from many walls. In addition, the army demolished a commercial building, and a barn in the town, allegedly for being constructed without permits. The army also handed several demolition orders targeting many homes and buildings, in Silwan. Silwanic said the soldiers violently invaded many stores, causing excessive damage, and confiscated goods and supplies, in addition to smashing the door of a store, selling propane gas, and confiscated propane gas barrels. 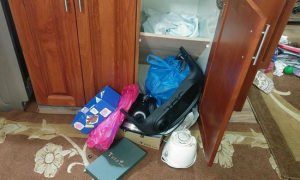 Furthermore, the soldiers invaded a shop, and confiscated a fridge, in addition to confiscating a car in the town. 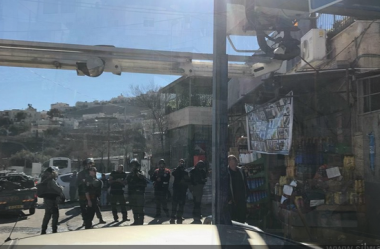 The soldiers also invaded a Restaurant in Silwan, and confiscated seven propane gas barrels, in addition to forcing a man to smash the door of his scarp shop, before invading it.